As the names suggest, Mid and High Sleeper beds have the rising frames raise to heights either mid or very high form the floor – but not to hit the room’s ceiling. Mid sleeper beds are mostly recommending for kids above the age of six. 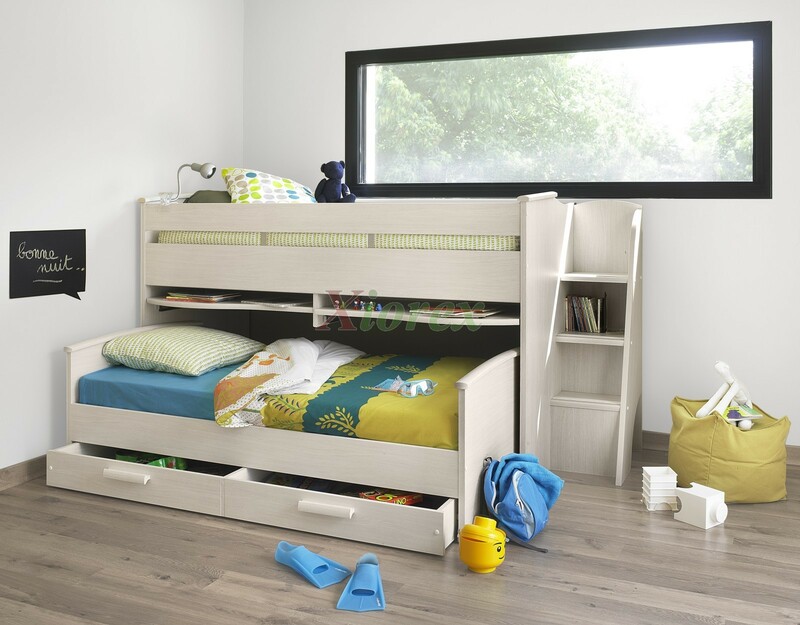 High sleeper beds are made primarily for kids much older kids who can climb the ladder with ease and not missing steps. Mid sleeper quality kids’ bed have in the recent years gained more popular among young parents through getting positive reviews from their friends who already bought them for their kids. The cabin included act as storage drawers for books, toys, photographs and other kid stuff. Are you looking to create more space for child play? If you have thought about getting a mid-sleeper cabin bed for your boy or girl, then you are right about the idea. Do even try to change your mind! Since the frames above, space just directly below can serve as mini- playground. Put up a castle if your kid loves to play – they’ll have lots of indoor fun. For school children in the same space can be utilized to set up a desk and shelves; adding a chair makes it a full study room in a that provides peace of mind for concentration. The cabins can store excess revision books and DVDs. If the mid sleeper is the double-decker, you can have two siblings sharing the room will eventually train kids of courtesy towards other people. A stronger bonding between siblings. A parent can apply the similar bedtime routines for both kids. Sleeping at the top will trigger a strong feeling of vertical freedom to spark off imaginations. Kids can decide to turn the bed into a spacecraft of some kind still leaving space for sleeping! There are no additional costs for fitting headboards or the bedsprings. These beds a yes especially during vacations were saving on space is essential. Some high sleeper is made in such a way to allow adjusting the height, so as the kid grows up, the bed in way grows with them. This is economical as no need to buy a new bed after some months. Some mid sleeper beds can be separated into twin beds in case the kids don’t want to sleep at some height. For the first days, one might experience a strange feeling when they sleep too close to the ceiling. At this point, there is need to improvise the room layout to allow free airflow and requires putting the bed up against one wall instead. You may get problems trying to perform a quick tuck since the mattress is high past the normal hand-reach. This way tightly fit a bottom sheet so that in the morning just spreading the duvet will finish up the tucking exercise. A kid might accidentally fall offer the ladder during an up or down climb. Taking keen steps is called for each time. At times kids doze off while on the sofa at the TV room. Now it’s tasking to carry them and lift them onto the high bed – tricky at times depending on the kid’s weight. It is advantageous to own either a mid or high sleeper cabin kids’ bed.